winter clothes? Come in and see what we have for YOU! Sweet Repeats is ready for SPRING! 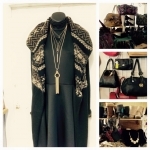 clothing, bags, shoes and jewelry. you to come check out the latest spring fashions. Accepting spring and summer only. Excludes: Northface, Under Armour and all equipment. Come pick up a few more SALE items before they are GONE!!! We are accepting SPRING and SUMMER.